The West Coast Soccer Association would like to highlight the University of Washington Men and Women Club program. The Huskies have traveled over the past week to Eastern Washington to play WSU TriCities, Central Washington, and host the University of Idaho, and WSU. The early morning game one against WSUTC got off to a slow start as both teams swapped chances, but once UW found their rhythm things began going smoothly. By half time the score was 5-0 after the forwards found their feet. In the second half, Anton Resing completed his hat trick as the Huskies netted 4 more, while WSUTC fought hard to stay in the game and were rewarded with a goal of their own. “I couldn’t have done it without the spectacular build up play and support from my team” said CF Anton Resing. Game two began very competitively, with Central creating many chances on the offensive end. UW earned a penalty call a quarter way through the game, which was converted and shifted the momentum of the match. Central fought hard to level the score, and came close on a number of occasions. The halftime score was 1-0, with both teams frustratingly unable to capitalize on opportunities. The second half was very competitive, resulting in a number of fouls and culminating in a red card for CWU, which dissipated the tension a bit. 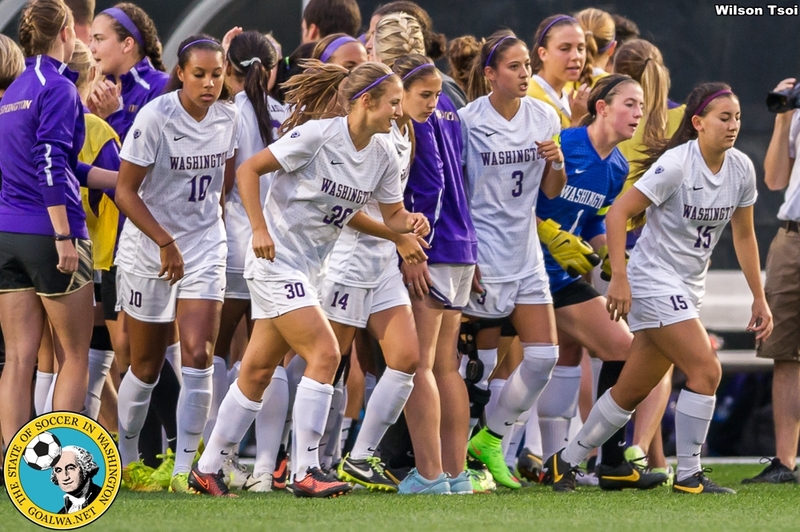 After a windy, grassy battle of 90 minutes, UW came out with the win.